Ten years since winning the BBC’s Last Choir Standing, the Welsh male voice choir with a difference is coming back to the Centre for a Decade Gala Celebration Concert. The Decade Tour will feature many of their hits from the last ten years, some chosen by the fans themselves. 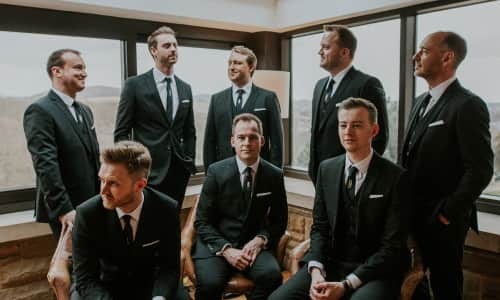 Delighting audiences with their unique sound, style and perfect harmonies is what they do best, and in this concert they’ll be joined by Only Boys Aloud, the phenomenon offering once-in-a-lifetime performance opportunities to hundreds of boys across Wales. A hugely popular group and a wild ride through Welsh hymn and folksong, via opera and music theatre, all the way to Swing and Pop. Something to shout about. "It’s dinner time in the monkey house, and I’ve got the spoon." 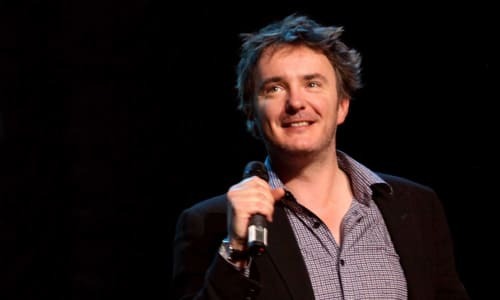 The BAFTA and Perrier award-winning comedian has embarked on his brand new tour – this is your opportunity to join him in the monkey house. More than ever, we need his unique take on love, politics, misery and the everyday absurdities of life, served up with the poetical panache he’s trademarked. He’s been called the Oscar Wilde of comedy, and his famed style – deadpan, witty and crackpot lyricism – promises an unmissable journey through his interpretations of the world, swerving cliché to offer a cutting blow to our idiosyncrasies. A rousing musical centenary salute to our Royal Air Force. Not just a one-off performance at the Centre, this is a once-in-a-century occasion! You can be part of this tribute and show your support for the Royal Air Force as it marks 100 years of outstanding service to the United Kingdom. 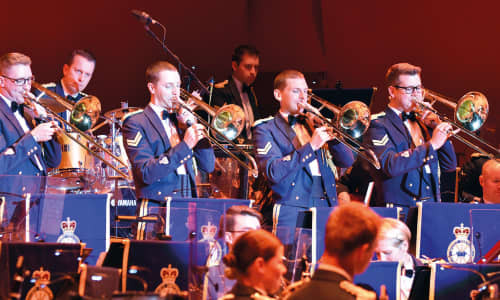 Classic military tunes including The Dambusters March and Spitfire Fugue will soar alongside the fantastic big band sound of Glenn Miller’s In the Mood and Keep ‘em Flying. RAF vocalists Corporal Matthew Walker and Senior Aircraftman Philippa Hobbs will perform some hugely popular songs including Come Fly With Me, Mr Blue Sky, Stars and Miss Otis Regrets. This world-class music concert is part of the official RAF100 series of events. Jazz, musical comedy and Hollywood classics from a Welsh showgirl… Rachel Williams is an Aberystwyth girl who’s travelled the stages of London and Paris to bring us back this autobiographical extravaganza full of chat and cabaret. It’s a whistle-stop tour, from her first glimpse of limelight in an Aberystwyth church, through London ballet classes and stage school to the Moulin Rouge in Paris, via some LA schmooze, to a role in ‘Cats’ on the West End. By turns belting and lively, confiding and poignant, in the end it’s a heartfelt reflection on who we once were and who we’ve become… and a unique chance to see the world of showbiz from a Welsh perspective.